It amazed me how the Stooges (and Vernon Dent) were usually matched up with such beautiful women. Your right though... a pretty weak Stooge short. A pretty good off beat short by the boys. It must be hard to play someone who is intoxicated - while sober. I agree they're adlibs and timing is great. 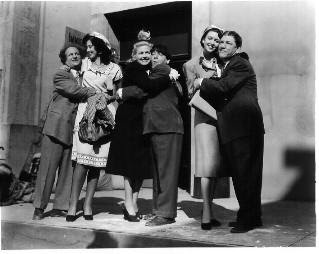 Shemp was so good at times they used to just let the cameras roll he was that funny. Moe had always been my favorite Stooge, but upon recent viewings of the shorts, Shemp has surpassed his brother. These days, when I watch the Stooges on TV, I'm disappointed when a Curly short airs rather than a Shemp short. 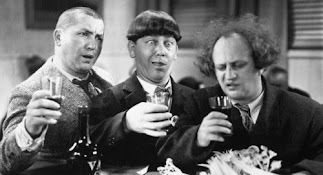 That said, I'd highly recommend the recent Sony DVD release, THE THREE STOOGES COLLECTION: 1934-1936. It's a lot of fun watching the shorts in the order they were released, and seeing how the act developed over time. I'm planning on picking up all of the chronological box sets as they come out. Christine McIntyre is the direct descendant of the veteran of the American Revolution.